While no relocation site is found and no other solution is seen, some Arihans already work on solutions themselves. The inhabitans of the southermost parts of Ariha have agreed to move to the northern parts as soon as the building reform there is finished. Not wanting to wait until work is done 4 households have already found a nice and cozy intermediate solution: Moving in with friends! Mehdi was one of the "southerners" wanting to leave as fast as possible. "I just could not sleep at night. With no solution at hand and knowing that time is running". Even if there is no immediate need to react or any hint that staying does have an impact on the proceeding vegetation Mehdi wanted to do something. "I also wanted to make an example. Many of the inhabitants still are not fully convinced that moving is a necessity. I wanted to show that it is time for action." 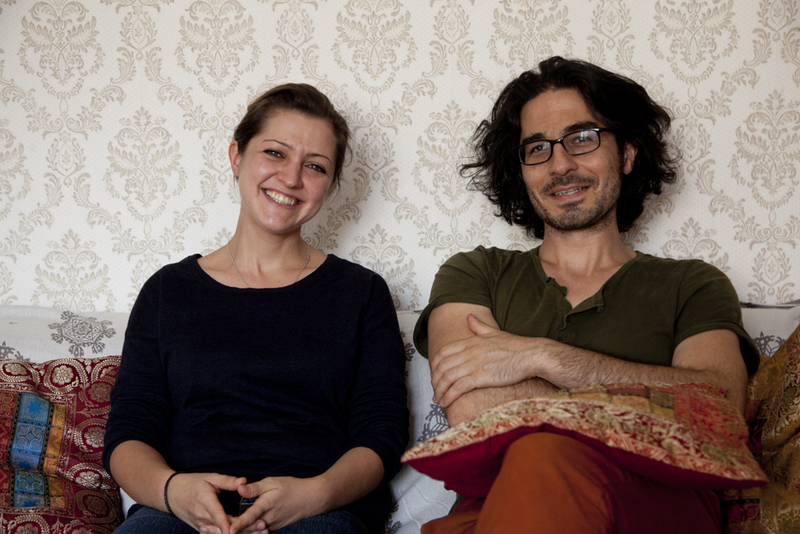 Irina, who is friends with Mehdi since they met in Germany, supported his stance. "I thought it was right to start action on a small scale before moving the entire village. And I love having my friends around." The idea of sharing available space has been discussed on meetings on the issue earlier. The 4 households that moved in together now are but the first to realize the idea.